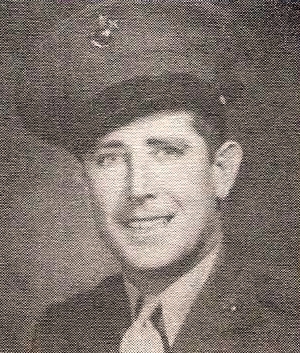 MM 1/c Melvin Arthur Pyeatt, son of Mr. and Mrs. L. E. Pyeatt, Olney, husband of Vida Mae Joyner, Olney. Entered Navy, 1942, trained in Norfolk, Va. Served in Guadalcanal. Awarded GCM, Victory, APO, Phil. Lib. Ribbon. Discharged in 1943.